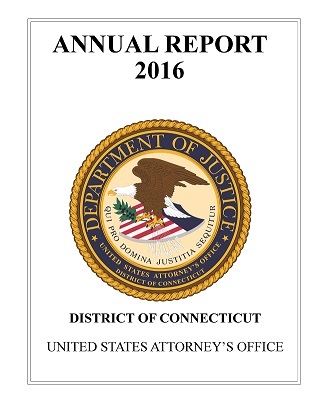 Deirdre M. Daly, Acting United States Attorney for the District of Connecticut, today announced that a federal grand jury sitting in New Haven has returned an eight-count indictment charging JOHNNIE JEFFERSON, also known as “Jeezy,” 23, and TRUMAINE HEARST, also known as “Man,” 19, both of Bridgeport, with murder, robbery, drug and firearms offenses related to the October 2012 death of Dawayne Cobb in Bridgeport. On October 10, 2012, at approximately 6:20 p.m., the body of Dawayne Cobb was discovered in the driver seat of an idling vehicle in the vicinity of 220 Sunshine Circle in Bridgeport. Cobb had gunshot wounds in his shoulder and abdomen. The indictment alleges that, on October 10, 2012, JEFFERSON and HEARST drove together to Sunshine Circle in order to meet Cobb, murdered him and stole marijuana from him. JEFFERSON and HEARST transported the stolen marijuana to a Bridgeport residence and subsequently distributed it amongst themselves and others. The indictment charges JEFFERSON and HEARST with causing the death of Dawayne Cobb through the use of a firearm. This charge carries a mandatory lifetime term of imprisonment or death, should the government seek the death penalty in this matter. The indictment also charges both defendants with conspiracy to use a firearm during and in relation to crimes of violence and drug trafficking crimes, use of a firearm during and in relation to crimes of violence, conspiracy to interfere with commerce by robbery, interference with commerce by robbery, conspiracy to possess with intent to distribute marijuana, possession with intent to distribute marijuana, and use of a firearm during and in relation to drug trafficking crimes. The indictment was returned on July 23, 2013. JEFFERSON and HEARST are currently in state custody. This matter is being investigated by Bridgeport Police Department and the FBI’s Bridgeport Safe Streets Task Force, which includes the Bridgeport, Norwalk, Trumbull and Fairfield Police Departments. The case is being prosecuted by Assistant United States Attorneys Tracy Dayton and Rahul Kale.